We've seen some widescreen footage of the original season and seems to be very interesting, the remastered aspect ratio on films it's a long debate but at least I think it's nice. There are also lots of rumours about what the new release is going to include. They say it will include The Art Life (the rights of the film were also bought recently) Personally, I can't expect less than the complete 3h30m original FWWM edit. Always a good news when a Criterion edition is announced. Personnaly, I had every box editions of the series & movie that been released (vhs/laserdisc,dvd, goldbox dvd, uk dvd, french dvd, then came "The Entire Mystery"). I updated each time with the newer edition that came. I don’t think that there will be FWWM with the missing pieces in the same movie. But, I only say that because of my theory (that I don’t want to explain ^_^) that I have on the season 3. 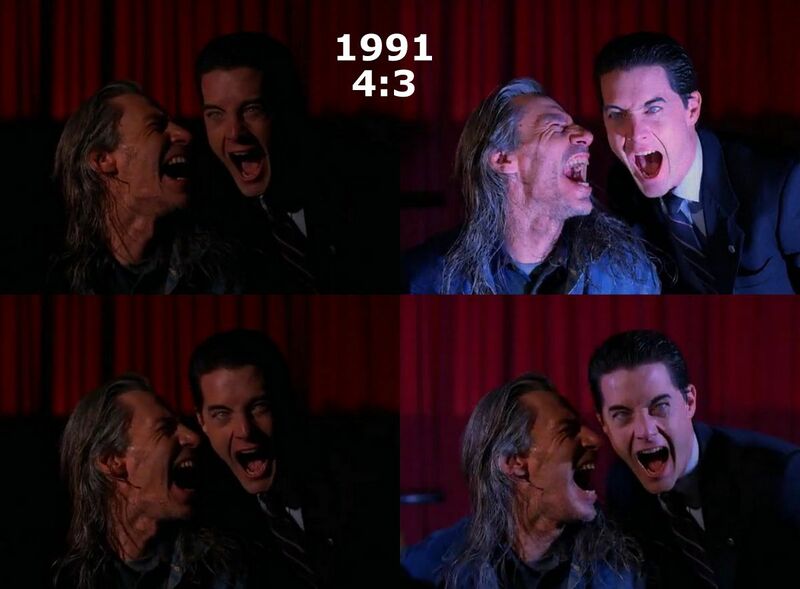 I think that Lynch keeps the missing pieces apart for a good reason... my mouth is sealed. Well, I'm not the kind of guy who keeps his mouth "sealed" Before Season 3 began, I was often saying I could easily imagine that they would re-use some old footage, and a few people were telling me that there would only be some NEW scenes there. And well, season 3 began with the "I will see you again in 25 years" sequence, and since, we have seen many sequences involving Bob and "the bad Dale". Regarding David Bowie, I have said a few times that I wouldn't be surprised if the "Buenos Aires Missing Pieces" were included in this new season and what we have seen so far seem to lead in this direction for the moment. 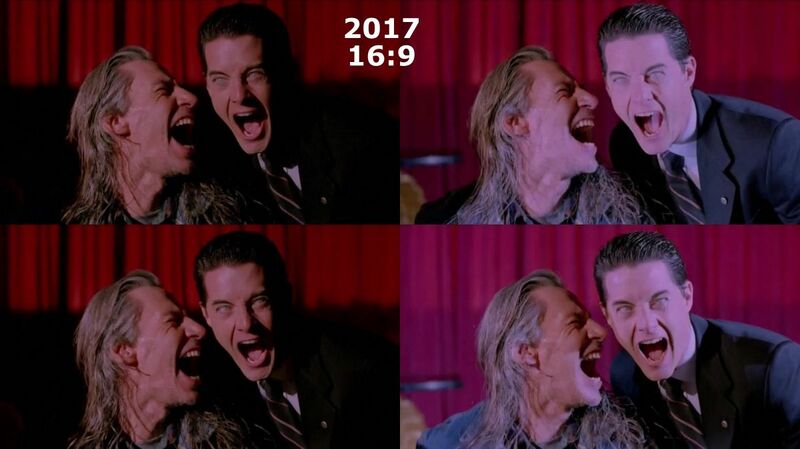 Concerning FWWM, David Lynch will never include the Missing Pieces in the actual film anyway. 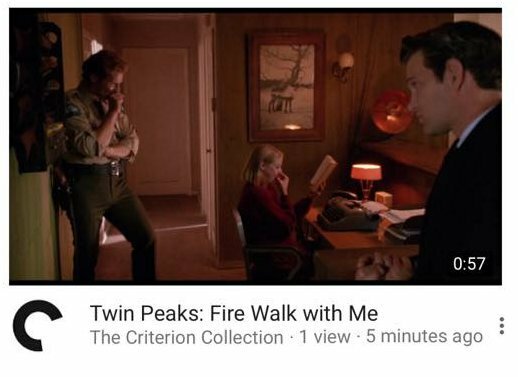 FWWM as we know is and has always been his "Director's cut", and it's perfect the way it is (as to me, I would only have loved to see the very short clip of the Log Lady in the woods included in the final cut). I have said a few times that I wouldn't be surprised if the "Buenos Aires Missing Pieces" were included in this new season and what we have seen so far seem to lead in this direction for the moment. Wow! this is something I never thought but it makes a lot of sense now, very feasible. 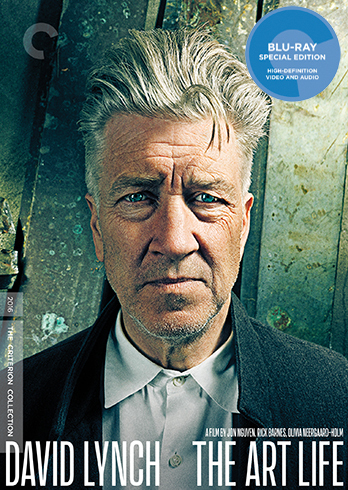 David Lynch: The Art Life confirmed for September. No info yet for FWWM.